GRACE AND ELEGANCE - JOE BUSCH ARCHITECT, DESIGNED THIS FABULOUS 11,000 SQ FT LAKE HOME ON THE EAST SHORE OF LAKE GENEVA WITH A 27 HOLE GOLF COURSE NEXT DOOR. 12 SEAT . . .
CLASSY, EXECUTIVE BRICK HOME ON LAKE LEHOMMEDIEU. 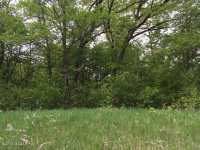 BEAUTIFUL PRIVATE 1.61 AC LOT WITH 140' PERFECT ELEVATION & RIPRAPPED SHORELINE. 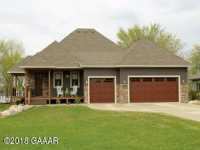 THIS 2 STORY, ALL BRICK HOME HAS 4 . . .
BY FAR ONE OF THE MOST GORGEOUS LAKE HOMES IN OUR AREA!! SOUTHERN EXPOSURE ON CLEAN & CLEAR MAPLE LAKE WITH HARD SANDY SHORELINE & IN NEIGHBORHOOD OF OTHER PREMIER . . . ABSOLUTELY BEAUTIFUL, EXECUTIVE STYLE HOME ON WEST LAKE CARLOS WITH WONDERFUL FINISHINGS & UPGRADES THROUGHOUT. SOME OF THE GREAT FEATURES INCLUDE CERAMIC CORIAN . . . THIS PROPERTY HAS IT ALL! LOCATED ON LAKE CARLOS. BRICK, STUCCO, TIMBER FRAME, WALK OUT. 3 BEDROOMS, 3 BATHROOMS, MAIN LEVEL LIVING. 2 WOOD BURNING FIREPLACES, GRANITE . . . 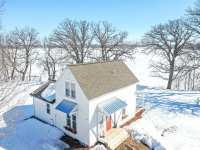 THIS WONDERFUL FAMILY-STYLE RETREAT FEATURES A LARGE MAIN COTTAGE AND A SMALLER GUEST COTTAGE ON 1.26 ACRES WITH 188 FEET OF LAKEFRONT ON THE WEST SIDE OF BEAUTIFUL LAKE . . . STUNNING LOG HOME ON THE ALEX CHAIN OF LAKES! ALMOST 250' OF LAKE SHORE ON LAKE JESSIE, THE CHAINS HIDDEN TREASURE. BOAT/PONTOON ACCESS TO VICTORIA, GENEVA, LEHOMMEDIEU, . 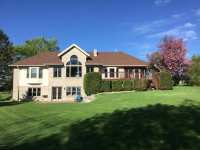 . .
NOT ONLY WILL YOU BE INVESTING IN A SPECTACULAR LAKE HOME ON THE CHAIN OF LAKES, YOU ARE INVESTING IN A LIFESTYLE IN THE GENEVA ESTATES DEVELOPMENT GIVING YOU SHARED . . .
EAST LAKE IDA AT IT'S BEST! ENJOY THE SUNSET VIEWS OF THIS 4 BED, 3 BATH, 4,330 FINISHED SQ FT WELL-KEPT HOME. 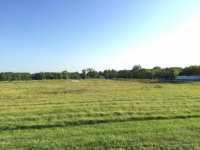 THE ONE ACRE LOT FEATURES A PERFECT 274 FEET OF . . . 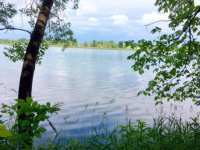 THE RENOWNED LAKE IDA. 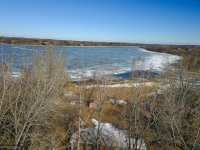 COME SEE WHAT THE BEST OF IDA HAS TO OFFER, LEVEL LAKE SHORE IS THE KEY HERE. 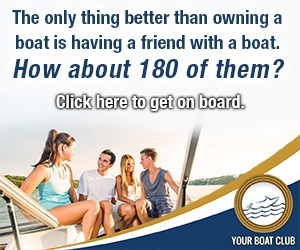 IF YOUR LAKE LIFE CONSISTS OF SWIMMING, SUN BATHING, BOAT CRUISING, . . . 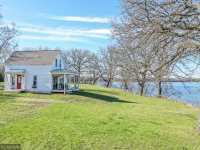 THERE IS A LOT TO LOVE ABOUT THIS LAKE LEHOMME DIEU PROPERTY!! 1.57 ACRES & 189' OF SHORELINE MAKES FOR GREAT OUTDOOR SPACE BOTH ROADSIDE & LAKESIDE...THERE ARE EVEN . 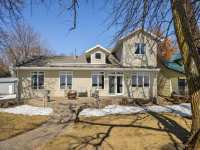 . .
GORGEOUS CUSTOM-BUILT HOME ON LAKE DARLING WITH ACCESS TO THE CHAIN OF LAKES. 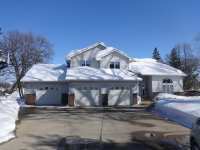 4 BED, 4 BATH, 3 GARAGE STALLS. MAIN FLOOR AND UPPER LEVEL OWNER SUITES, ONE WITH A JACUZZI . 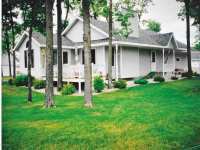 . .
GORGEOUS CUSTOM-BUILT HOME ON LAKE DARLING WITH ACCESS TO THE CHAIN OF LAKES. 4 BED, 4 BATH, 3 . . . 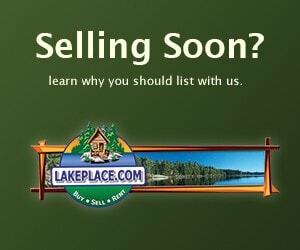 LOOKING FOR YOUR DREAM LAKE HOUSE?! THIS ABSOLUTELY AMAZING LAKE IDA PROPERTY WILL CHECK ALL OF THE BOXES AND THEN SOME! 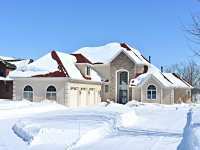 EXCEPTIONAL 4+ BEDROOM 4 BATH THAT WAS JUST . . .
LAKE CARLOS GEM! 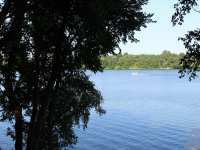 ENJOY THE BEST THAT ALEXANDRIA'S ''CHAIN OF LAKES'' HAS TO OFFER WITH HARD SAND BOTTOM AND GREAT SWIMMING FROM YOUR DOCK. ENJOY YOUR MORNING COFFEE AND . . .
LOCATION-QUALITY-LAKESHORE! THIS HOME HAS IT ALL! GET AWAY FROM THE HUSTLE AND BUSTLE OF THE CHAIN AND ENJOY THE QUIETNESS OF THIS FORGOTTEN LAKE IN THE HEART OF . . .
FIND YOURSELF STROLLING DOWN PRISTINE BAY, LET YOUR HOMECOMING BE ANNOUNCED BY GRAND ARCHWAYS. 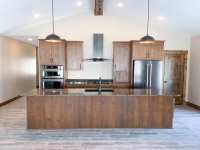 COME HOME TO WARM WALNUT FINISHED WOODWORK, GRANITE COUNTERTOPS IN THE . 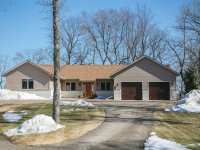 . .
BEAUTIFUL, NEWLY RENOVATED LAKE LE HOMME DIEU HOME ON THE CHAIN OF LAKES! LOCATED ON HIGHLY DESIRABLE S LE HOMME DIEU DR, THIS GORGEOUS PROPERTY OFFERS OVER AN ACRE OF . 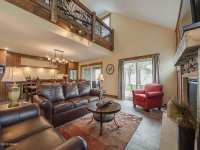 . .
AMAZING LAKE IDA CHALET HOME WITH 103' OF LEVEL SANDY SHORELINE. THIS 3 BEDROOM, 2 BATHROOM HOME WITH LOFT FEATURES AMAZING VIEWS! COZY UP BY THE FIREPLACE, RELAX ON THE . . .
LAKE CARLOS BEAUTY! ENJOY THE CHAIN OF LAKES AT IT'S FINEST. SITUATED ON W. LAKE CARLOS DR, THE SUNSETS ARE ABSOLUTELY BREATHTAKING! BOLSTERING 5 BEDROOM, 3 BATH, THIS . . .
RARE FIND! BE A PART OF THE RESORT LIFE. USE THE VILLA WHEN YOU WANT - WITH SOME RESTRICTIONS SET BY THE COUNTY - AND EARN GREAT RENTAL INCOME WHEN YOU'RE NOT THERE.LAKE . . .
240 FEET OF SANDY LEVEL SHORELINE. TOP THAT OFF WITH THE INLET STREAM FROM LAKE MILTONA ARE WHAT MAKE THIS FEATURED PROPERTY A ONE OF A KIND. LAKE IDA IS OVER 4000 ACRES . . . 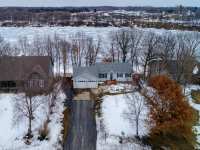 ABSOLUTELY STUNNING LAKESIDE HOME AT THE VERY END OF THE CUL DE SAC IN GENEVA ESTATES PROVIDES AWESOME PRIVACY, AMAZING LAKEVIEWS AND A GOLF CART DRIVE AWAY FROM THE . . .
LAKE IDA IS CALLING! NOT ONLY IS THIS LAKE KNOWN TO OFFER SOME OF THE BEST FISHING IN CENTRAL MN BUT IT IS ALSO SUPER CLEAN, DEEP AND JUST AN AWESOME BODY OF WATER FOR . . . ENJOY THE LAKE LIFE ON THE ALEXANDRIA CHAIN-OF-LAKES WITHOUT THE NEVER-ENDING EXTERIOR MAINTENANCE AND UPKEEP. 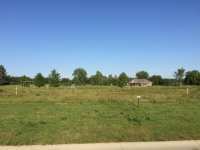 BEAUTIFUL NEW LAKEFRONT COMMUNITY WITH AN ASSOCIATION . . .
VACATION-WORTHY LIVING RIGHT HERE! LIVE THE WATERFRONT LIFESTYLE WITH INCREDIBLE SUNRISES & SWEEPING LAKE VIEWS ON YOUR OWN WATERFRONT. A CAPTIVATING GREAT ROOM IS AN . . .
CHAIN ACCESS AT AFFORDABLE PRICE! 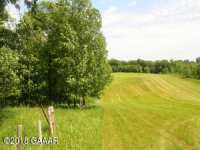 LEVEL TO THE LAKE ON GENEVA WITH .46 ACRES AND 95' FRONTAGE. IMMACULATE 3 BR 3 BATH. MANY UPGRADES IN RECENT YEARS. SEE LIST UNDER . 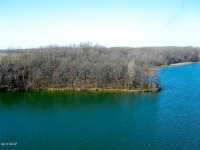 . .
FRESHLY UPDATED, LAKE HOME ON LEVEL 1.22 AC. 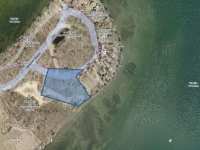 LOT, 232' OF LAKESHORE W/ A SANDY BEACH. 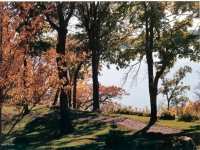 LOCATED ON LAKE JESSIE, THE BEST KEPT SECRET IN THE ALEXANDRIA AREA. 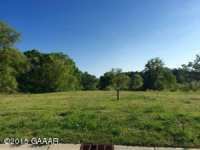 JESSIE IS A . . .
100 FOOT BUILD-ABLE LOT ON ALEXANDRIA'S HISTORIC CHAIN OF LAKES. 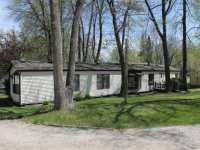 THIS STUNNING LAKE GENEVA PROPERTY OFFERS A THREE BEDROOM YEAR ROUND GUEST HOUSE WITH A THREE STALL . . . 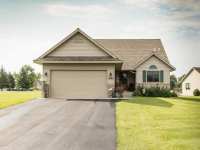 WELCOME TO CHAIN OF LAKES LIVING! 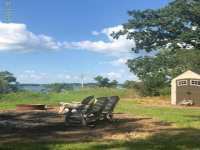 TUCKED AROUND THE BEND ON LAKE VICTORIA YOU'LL FIND THIS 5 BEDROOM RAMBLER. FEATURING A COMPLETE UPDATE THROUGHOUT, LAKESIDE MASTER . 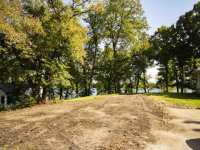 . .
GORGEOUS NEW CONSTRUCTION TO BE BUILT ON THIS LEVEL LOT ON AWESOME LAKE GENEVA! SOME OF THE FEATURES WILL INCLUDE VAULTED CEILINGS, MASTER SUITE, 3-STALL ATTACHED . 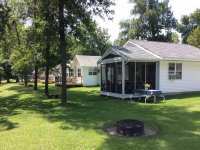 . .
PREMIER LAKE, FANTASTIC SWIMMING, AMAZING VIEWS, RAMBLER W/ 3 MAIN LEVEL BEDROOMS & A LAKESIDE SCREENED IN PORCH!!! YOU CAN HAVE IT ALL AT AN AFFORDABLE PRICE! THIS . . .
RARE OPPORTUNITY TO OWN APPROX. 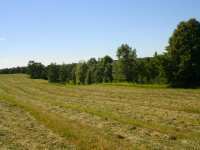 40 ACRES CONSISTING OF A MIX OF BEAUTIFUL MAPLE/BASSWOOD/OAK WOODS, ROLLING EXISTING HAY FIELDS AND SHORELINE ON SEMI-PRIVATE NORTH UNION . . . 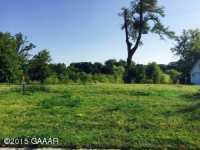 VERY UNIQUE/RARE PROPERTY IN THE ALEXANDRIA LAKES AREA. BEAUTIFUL ROLLING HILLS WITH APPROX. 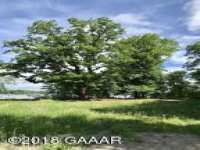 7.5 ACRES MATURE OAK WOODS, 16.5 ACRES EXISTING HAY FIELD, CLOSE TO 2,000FT. . . .
LIVE ON THE LAKE WHERE THE LIVING IS ''EASY!'' ONE OF THE FEW DETACHED TOWN HOME DEVELOPMENTS ON ALEXANDRIA'S CHAIN OF LAKES! COMPLETE MAIN FLOOR LIVING PLUS FULL LOWER . . .
WOW, THIS IS A WONDERFUL, FREE STANDING TOWNHOME ON BEAUTIFUL LAKE IDA. 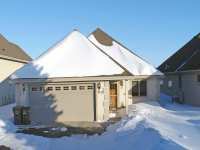 THIS 3 BEDROOM 3 BATH CHALET WITH LOFT AND WALKOUT FEATURES VAULTED CEILINGS, 2 GAS FIREPLACES, . 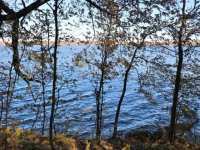 . .
LAKE MARY IS ONE OF THE TOP FISHING LAKES IN THE ALEXANDRIA AREA AND THIS LITTLE MARY CIRCLE LOCATION BOASTS TOP WALLEYE FISHING RIGHT OFF THE DOCK. GRADUAL HARD SANDY . 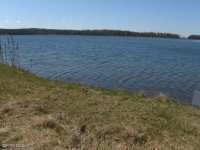 . .
EASY LIVING AT LAKE DARLING AND ALEXANDRIA'S CHAIN OF LAKES. ORIGINAL OWNER (2009) 3 BED/2.5 BATH BAYWOOD HOME WITH IMPROVEMENTS (SEE SUPPLEMENT), A LAKE VIEW AND THE . . .
LAKE VICTORIA AND THE CHAIN OF LAKES IS CALLING! 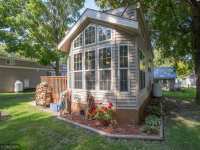 HERE'S A CUTIE READY FOR SUMMER FUN THAT'S BEEN UPDATED WITH A MIX OF MODERN AND RUSTIC CHARM. FROM COFFEE ON THE DECK . . . THIS LAKE HOME IS SUPER CLEAN WITH JUST COMPLETED UPDATES INCLUDING PAINT, CARPET & BATHS! AND...WHAT AN OPPORTUNITY TO BE ON ALEXANDRIA'S CHAIN OF LAKES FOR LESS THAN . . . STUNNING VIEWS OF LAKE LATOKA. NICELY REMODELED KITCHEN, CUSTOM CABINETS BY COLLINS CABINETS, GRANITE COUNTERS. 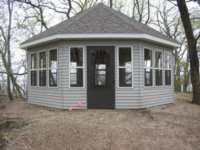 LARGE LAKESIDE 3 SEASON PORCH (25'X10'). 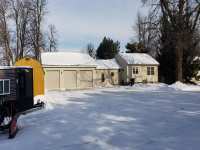 STEEL SIDING, . . .
NEW CONSTRUCTION/TO BE BUILT IN BEAUTIFUL LAKE JESSIE MEADOWS TOWNHOME ASSOCIATION. 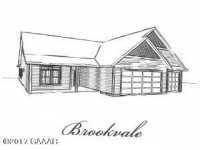 THE 'BROOKVALE' PLAN OFFERS 2 OR 3 BR 2 BA OPEN FLOOR DESIGN ALL ON ONE LEVEL. WALK . . . LOOKING FOR THE PERFECT LITTLE CABIN THAT GETS YOU TO A GREAT GET AWAY? 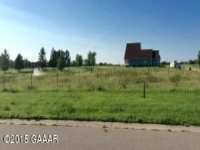 COME CHECK OUT THIS FARM STYLE RETREAT THAT OFFERS A MASTER ON-SUITE, SUBWAY TILE BATH, REAL BARN . . .
HAVE YOUR HEARD HOW AWESOME MAPLE LAKE IS?!! CLEAN, DEEP, SPRING FED, GOOD FISHING AND MORE! THIS YEAR ROUND PROPERTY GIVES YOU AN OPPORTUNITY TO JOIN THE FAMILY! SUPER . . .
OWN ON THE CHAIN! 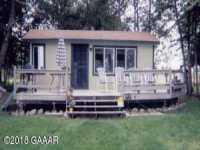 LAKE DARLING 2 BEDROOM SEASONAL CABIN SITTING RIGHT ON WATER'S EDGE. PERFECT SPOT FOR THE 4TH OF JULY FIREWORKS! THE BEACH IS THE BEST AROUND! SANDY . . .
SPRING IS HERE! ENJOY THE VIEW DOWN THREE SEPARATE FAIRWAYS WHILE RELAXING ON YOUR PRIVATE WALK-OUT DECK THIS SUMMER. 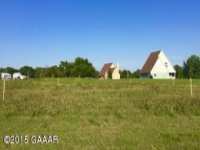 PURCHASE THIS HOME SO YOU CAN ENJOY THE . . . ENJOY THE VIEW DOWN THREE SEPARATE FAIRWAYS WHILE RELAXING ON YOUR PRIVATE WALK-OUT DECK, AS WELL . . . PLANNED GOLF COMMUNITY. 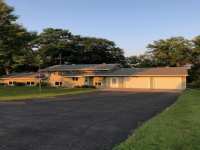 27 HOLE CHAMPIONSHIP GOLF COURSE, CLUBHOUSE, DRIVING RANGE, HEATED POOL, BAR/GRILL. 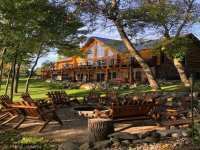 SCOTT DIRCK GOLF ACADEMY & YEAR-ROUND PRACTICE FACILITY. . . .
WHAT A CHARMING YEAR ROUND LAKE CABIN ON LAKE DARLING! 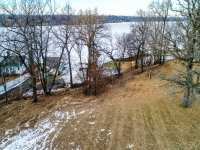 SPACIOUS LAKESIDE DECK IS PERFECT TO ENJOY YOUR MORNING CUP OF COFFEE WHILE WATCHING THE SUNRISE OVER THE LAKE. . . .
WHAT A TRULY REMARKABLE & BEAUTIFUL 25 ACRE PARCEL OF LAND ON 1050+ FT PRIVATE LAKESHORE. THERE ARE CAT TAILS BUT BEYOND IT IS VERY SANDY & GOOD SWIMMING. THIS COMBO OF . . .
JUST COMPLETED NEW CONSTRUCTION IN LAKE JESSIE MEADOWS TOWNHOME ASSOCIATION. THIS 2 BR 2 BA MAIN LEVEL TOWNHOUSE BOASTS VAULTED CEILINGS, KITCHEN CENTER ISLAND, SUNROOM . 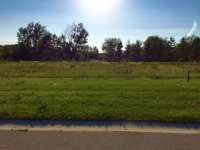 . .
NEW CONSTRUCTION/TO BE BUILT IN BEAUTIFUL LAKE JESSIE MEADOW TOWNHOME ASSOCIATION. 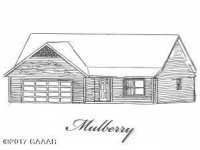 THE 'MULBERRY' PLAN OFFERS 2 BR 2 BA OPEN FLOOR DESIGN ALL ON ONE LEVEL. THE . . . LOCATED IN THE GATED COMMUNITY KNOWN AS ''THE GREENS''. THIS PROPERTY FEATURES A 3 HOLE GOLF COURSE, COMMUNITY CLUB HOUSE, 2 + BEDROOMS, 2 1/2 BATHS, FINISHED LOWER . . . 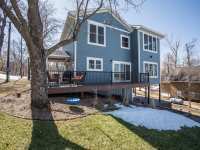 LOOKING FOR YOUR NEW HOME WITH LAKE ACCESS? COME AND TAKE A LOOK WHAT THIS YEAR ROUND HOME HAS TO OFFER. 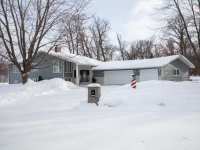 ORIGINAL OWNER HOME IS SITUATED ON THE CORNER LOT WITHIN WALKING . . .
BEAUTIFUL AND RARE APPROX. 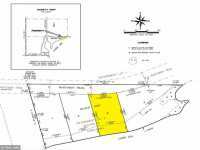 20 ACRE PARCEL IN THE ALEXANDRIA LAKES AREA. 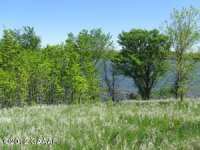 ROLLING OAK WOODS, EXISTING HAY FIELD, SHORELINE ON SEMI-PRIVATE NORTH UNION LAKE, LOTS OF . . . LOCATION, LOCATION, LOCATION. 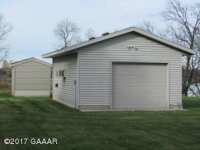 3 BR 2 BA WITH LARGE 30X40 ATTACHED GARAGE OFFERING PLENTY OF STORAGE. ROOM FOR YOUR BOATS AND LAKE TOYS. CLOSE TO ALEXANDRIA, EASY ACCESS . . .
BEAUTIFUL LAKE VICTORIA! 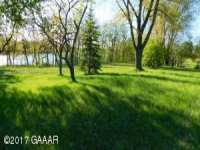 GAIN ACCESS TO THE ALEXANDRIA CHAIN ON LAKES ON THIS 100 X 200 MATURE LOT WITH AWESOME FIRE PIT OVERLOOKING THE LAKE. PROPERTY INCLUDES A 3 . . . COURTESY LISTING: MINNEWASKA INSURANCE & REAL ESTATE, INC.
ALEXANDRIA: ''THE GREENS'' OFFERS 2 BEDROOM, 2 BATHROOM, & ATTACHED 2 STALL GARAGE. 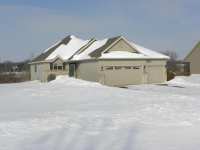 INDIVIDUAL TOWNHOME ''WINONA PLAN'' INCLUDES FULL UNFINISHED BASEMENT, CENTRAL AIR, . . . PERFECT GET AWAY! SMALL CABIN AND GARAGE, A 1.26 ACRE WOODED LOT ON QUIET LAKE JESSIE WITH ACCESS TO THE ALEXANDRIA CHAIN! THIS WOULD BE THE PERFECT PLACE TO BUILD YOUR . . .
AFTER A DAY OF SPLISH SPLASH ENTERTAINMENT ON BEAUTIFUL LAKE IDA, YOU'LL WANT TO COME HOME TO THIS WONDERFUL BLISS. WHEN YOU SPREAD OUT AND RELAX, THIS HOME COMFORTABLY . 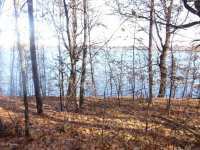 . .
LAKE MARY PROPERTY WITH LOTS OF PRIVACY, 15.69 ACRES, 137 FEET OF LAKE SHORE, GRADUAL ELEVATION AND JUST OFF PAVED ROAD. THIS COULD BE THE PERFECT PLACE TO FINALLY BUILD . 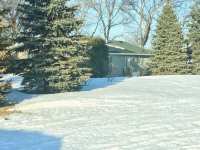 . .
LEVEL LAKESHORE LOT ON BEAUTIFUL CLEAR & CLEAN MAPLE LAKE!! 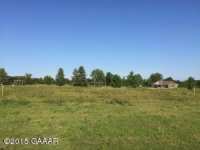 DEEP LOT WITH EXCELLENT SANDY FRONTAGE. LOT SLOPES FROM ROAD FOR POSSIBLE WALK-OUT. 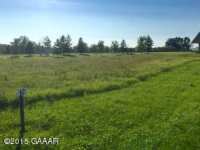 ALSO INCLUDES .20 ACRE . 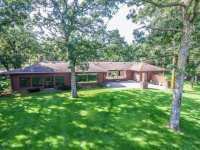 . .
361 FEET OF LAKE SHORE WITH 5.1 ACRES OF DENSELY WOODED PINES AND SPRUCE THAT OPEN UP AT THE LAKE . . .
WORK HARD...PLAY HARD? 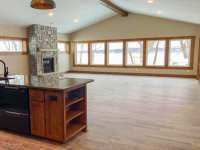 THIS FULLY FURNISHED LAKEFRONT SEASONAL CABIN IN ELMWOOD RESORT ASSOCIATION TAKES THE WORK OUT OF YOUR SUMMER WEEKEND GETAWAY! LAKE MARY'S SANDY . 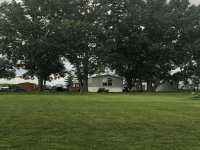 . .
400' OF LAKE SHORE ON 5.1 ACRES. FANTASTIC BLEND OF PINE, SPRUCE, AS WELL AS OLD GROWTH OF MAPLE . . .
2 BR 2 BATH CABIN WITH LAKE ACCESS. HEATED POOL, FISH CLEANING HOUSE. ROOM FOR YOUR BOAT AND LIFT. 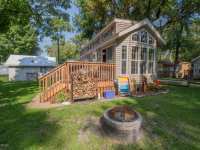 BEAUTIFUL TURNKEY LAKE CABIN THAT ALLOWS THE EASY LIVING LIFE ON LAKE IDA. TAN YOURSELF RIGHT NEXT TO THE IN-GROUND POOL, FISH OFF THE DOCK, HAVE YOUR OWN PRIVATE BOAT . . . 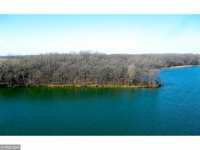 BUILD THAT DREAM LAKE HOME YOU ALWAYS WANTED ON BEAUTIFUL LAKE BURGEN! 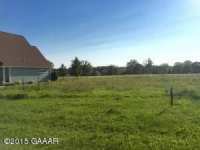 1.10 AC BUILDING LOT. 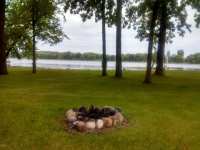 COME & ENJOY ALL THAT LAKE BURGEN HAS TO OFFER. THIS PROPERTY IS CLOSE TO . . . IT'S DIFFICULT TO FIND 3 BEDROOMS AT THIS PRICE POINT... WE HAVE THEM HERE! 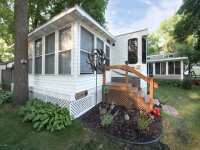 LOCATED FRONT ROW AND CENTER WITH A DIRECT LAKE VIEW FOR BREATHTAKING SUNRISES OVER POPULAR . 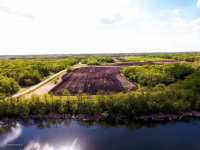 . .
DON'T MISS OUT ON A CHANCE TO PURCHASE THE LAST OF THESE 4 LOTS ON LAKE IDA. 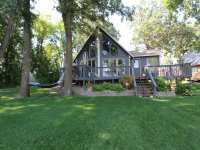 ENJOY 121' OF LEVEL SHORELINE WITH A PANORAMIC VIEW OF THE LAKE. PRICED WELL BELOW TAX . 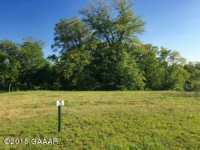 . .
DON’T MISS OUT ON A CHANCE TO PURCHASE THE LAST OF THESE 4 LOTS ON LAKE IDA. 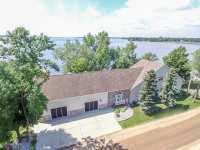 ENJOY 121’ OF LEVEL SHORELINE WITH A PANORAMIC VIEW OF THE LAKE. PRICED WELL BELOW TAX . 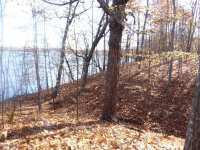 . .
RARE 1.3 ACRE WALKOUT LAKE LOT, 5 MINUTES FROM ALEXANDRIA. 152' OF QUALITY LAKE SHORE, NO WEEDS, NO MUCK! GRAVEL/COBBLESTONE LAKE BOTTOM. TURTLE LAKE BOASTS 25' MAXIMUM . . . 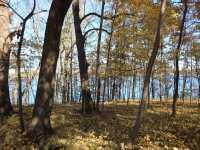 WOODED NEARLY 3/4 ACRE GENTLY SLOPING LOT ON LAKE LATOKA NEAR ALEXANDRIA. 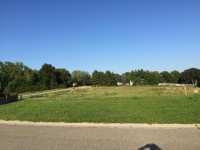 ONE OF THE LAST LOTS AVAILABLE IN NICELY DEVELOPED NEIGHBORHOOD. START YOUR DREAM TODAY! PRIVATE RETREAT NEAR ALEXANDRIA WITH STUNNING LAKE VIEWS! 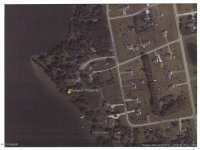 DOCK, ABUNDANCE MATURE TREES, .97 ACRE LOT, TWO CAR GARAGE, STORAGE SHED, AND MANUFACTURED HOME. 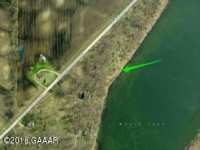 SHORT I 94 . . .
PICTURE YOUR NEW HOME OVERLOOKING LAKE IDA ON THIS 3.5 ACRE LOT. 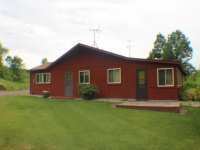 ENJOY THE PEACE AND QUIET OF COUNTRY LIVING, BUT ONLY A SHORT DISTANCE FROM TOWN. 200 +/- FEET OF . 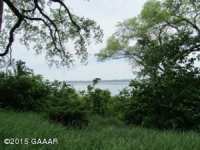 . .
TWO LOTS AVAILABLE SIDE BY SIDE ON LAKE VICTORIA. THIS IS LOT 6. 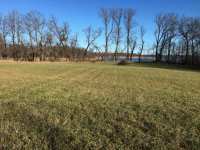 HARD TO FIND LOT ON ALEXANDRIA'S CHAIN OF LAKES. 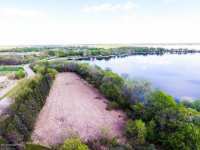 BUY THIS LOT ALONE OR BOTH LOTS AND HAVE 200 FT . . .
DREAMING OF LIVING ON THE LAKE? 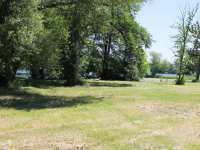 GET ONE OF THE LAST LAKE LOTS AVAILABLE ON ALEXANDRIA'S CHAIN OF LAKES! 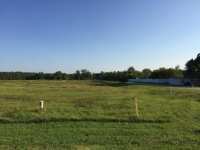 GREAT LOCATION NEAR THE NEW HIGH SCHOOL, TARGET, RESTAURANTS, AND . 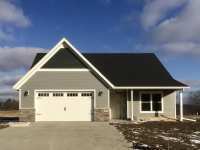 . .
NEW DEVELOPMENT OF HOMES IN BURGEN SUNRISE THIRD ADDITION. 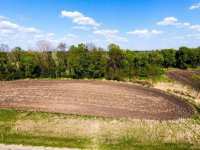 BUILD HERE ON THIS LAKE BURGEN LOT WITH 114 FT OF LAKESHORE LOCATED WITHIN VIEW OF THE NEW HIGH SCHOOL! BRAND . 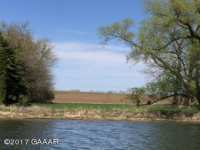 . .
TWO LOTS SIDE BY SIDE AVAILABLE ON LAKE VICTORIA! THIS IS LOT 7. 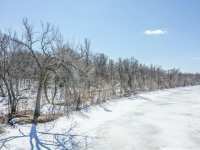 HARD TO FIND LOT ON ALEXANDRIA'S CHAIN OF LAKES. BUY THIS LOT OF 100 FT OR BOTH AND HAVE 200 FT OF . 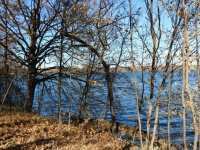 . .
PSST... LAKE BURGEN IS A REALLY NICE, CLEAN LAKE THAT IS IN CLOSE PROXIMITY TO ALEXANDRIA AREA HIGH SCHOOL, WOODLAND ELEMENTARY SCHOOL, SHOPPING, MEDICAL FACILITIES SUCH . 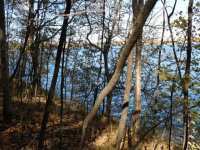 . .
RARE 1.5 ACRE WALKOUT LAKE LOT, 5 MINUTES FROM ALEXANDRIA. 280' OF QUALITY LAKESHORE, NO WEEDS, NO MUCK! GRAVEL/COBBLESTONE LAKE BOTTOM. TURTLE LAKE BOASTS 25' MAXIMUM . . .
LAND PLUS LAKESHORE! HERE IT IS. 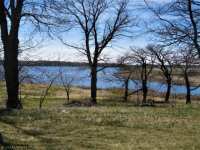 4 ACRES WITH DEEDED ASSOCIATION ACCESS ON LAKE DARLING. ENJOY YOUR OWN PRIVATE DOCK WHICH IS INCLUDED AT THE PRIVATE MARINA WITH NONE OF . . . 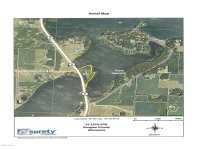 MAPLE LAKE 1.16 ACRE LOT WITH 101 FEET OF LAKESHORE. GREAT VIEWS, SUNSETS AND PRIVACY, READY FOR YOUR DREAM HOME. THE TIME HAS COME TO START YOUR OWN FAMILY MEMORIES AT . . . 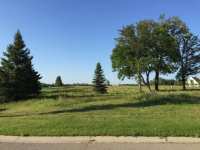 MAPLE LAKE 1.16 ACRE LOT WITH 101 FEET OF LAKESHORE. 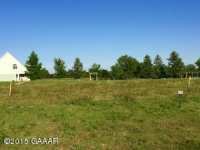 GREAT VIEWS, SUNSETS AND LOTS OF PRIVACY FOR YOUR DREAM HOME WITH EASY COMMUTE TO ALEXANDRIA OR GLENWOOD. THIS IS . . . 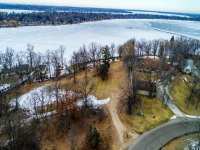 MAPLE LAKE 1.16 ACRE LOT WITH 101 FEET OF LAKESHORE. 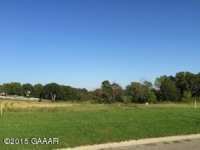 GREAT VIEWS, SUNSETS AND LOTS OF PRIVACY FOR YOUR DREAM HOME WITH EASY COMMUTE TO ALEXANDRIA OR GLENWOOD. TIME TO . . .
LAKE MARY! 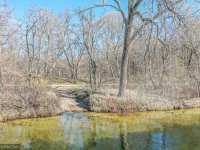 SERENE AND PRIVATE ACERAGE (7.90 ACRES) ON 395 FEET OF LAKE FRONTAGE. 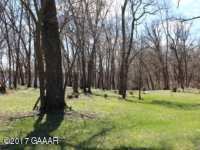 LOTS OF TREES ON THIS LEVEL LOT WHICH WILL MAKE A NICE GETAWAY AND A SPOT TO BUILD YOUR . 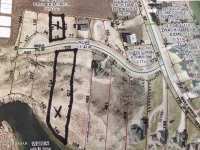 . .
READY TO BUILD ON BEAUTIFUL LAKE GENEVA?! 96' OF LAKE FRONTAGE AND PERFECTLY LEVEL! LAKE GENEVA IS ON IS PART OF THE ALEXANDRIA 'CHAIN OF LAKES' WHICH OFFERS AMAZING . . . TIRED OF WINTER? GET IN ON THIS ONE EARLY AND BE READY TO ENJOY THE LAKE SOONER THAN LATER. 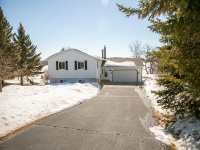 YOU WILL FIND THIS NICELY LANDSCAPED AND WELL MAINTAINED SEASONAL HOME . 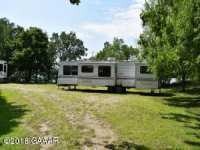 . .
BRING YOUR BUILDING PLANS OR YOUR CAMPER, AND MAKE FAMILY MEMORIES ON BEAUTIFUL LAKE MARY. 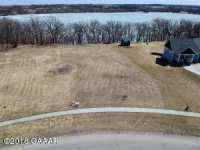 THIS LOT OFFERS A FANTASTIC LAKE VIEW WITH AN EXISTING 14 X 22 GARAGE. . . .
BEAUTIFUL, LAKE LOT READY FOR YOUR NEW HOME IN A NEW DEVELOPMENT ON THE WEST SIDE OF LAKE BURGEN!! IT IS ALL EQUIPPED WITH CITY WATER, CITY SEWER, AND WINDING, SCENIC . 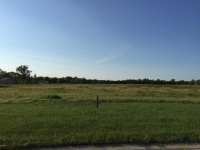 . .
BUILDING LOT ON PRIME LAKE IDA. 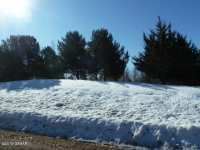 THIS LOT BOASTS 197' OF LEVEL FRONTAGE AND IS TREED FOR YOUR PRIVACY. SURVEYED, SEWER STUB, NEW DRIVEWAY APPROACH, TAR ROAD MOST OF THE . 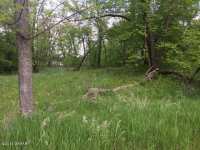 . .
LAKESHORE WOODED BUILDABLE LOT. ALEXANDRIA SCHOOL DISTRICT, BEAUTIFUL SUNSETS. 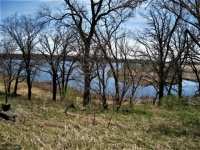 LOCATED ON SPRING FED, VERY CLEAN 800+ ACRES MAPLE LAKE. THIS LAKE IS 6 MILES SOUTH OF . 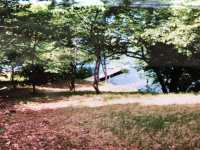 . .
RARE 1.3 ACRE WALKOUT LAKE LOT, 5 MINUTES FROM ALEXANDRIA. 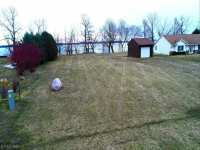 178' OF QUALITY LAKE SHORE, NO WEEDS, NO MUCK! GRAVEL/COBBLESTONE LAKE BOTTOM. TURTLE LAKE BOASTS 25' MAXIMUM . . . 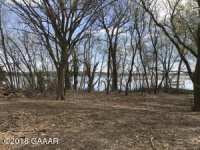 LOOKING FOR A LEVEL LAKE LOT TO CAMP AT OR BUILD? HERE IT IS! 100' ON THE WATER, SPRING FED, SO IT HAS EXCELLENT WATER CLARITY, AVERAGE DEPTH IS 14' AND MAXIMUM DEPTH IS . . .
BRING YOUR BUILDING PLANS, THIS LOT IS SUITED TO FIT MOST BUILDS. 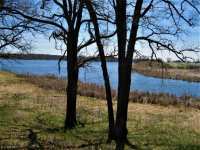 BE ON THE BEAUTIFUL LAKE MARY, BE IN A DEVELOPMENT WITH TARRED ROADS, AND THE ABILITY TO HAVE LEISURE . . .
TRANQUILITY AT THE END OF THE ROAD. 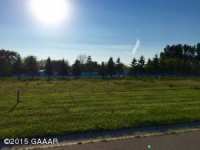 BEAUTIFUL SUNSETS, PUBLIC SEWER AVAILABLE. 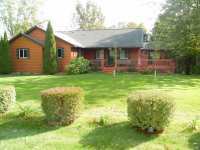 CONVENIENT TO SCHOOLS, SHOPPING AND MEDICAL AND CLOSE TO NEW HIGH SCHOOL AND WOODLAND . 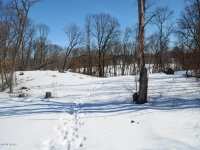 . .
LARGE LOT ON OVER 1 ACRE OF DEEDED ACCESS LAND. 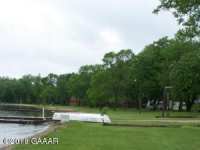 SHARED DOCK W/BOAT SLIP ON OVER 1000 FEET OF LAKESHORE ON LAKE IDA! SCENIC WALKING PATHS ALONG THE LAKE. BEAUTIFUL VIEWS . . . ENJOY ALL THE PEACE AND SERENITY OF LAKESHORE LIVING YET ALSO BE WITHIN MINUTES OF DOWNTOWN ALEXANDRIA AND AREA SCHOOLS. THEY SAY LOCATION IS EVERYTHING IN REAL ESTATE . . .
LAKE MILTONA PROPERTY! AFFORDABLE 3BR 2BA HOME IN MILTONA BAY ESTATES! ENJOY THE LAKE W/O ALL THE WORK! 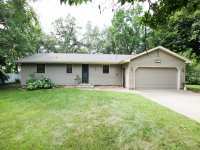 THIS HOME HAS BEEN WELL CARED FOR AND IS MOVE IN READY. SEASONAL . 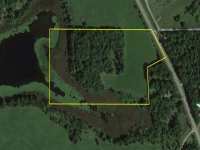 . .
INDIAN LAKE ACREAGE! 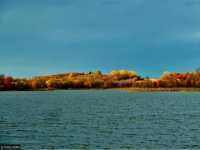 19 ACRES OF BEAUTIFUL ROLLING HILLS AND TREES ARE CALLING ALONG WITH OVER 600 FT OF LAKESHORE ON A GREAT DUCK HUNTING LAKE! PAVED ROAD ACCESS AND . . . 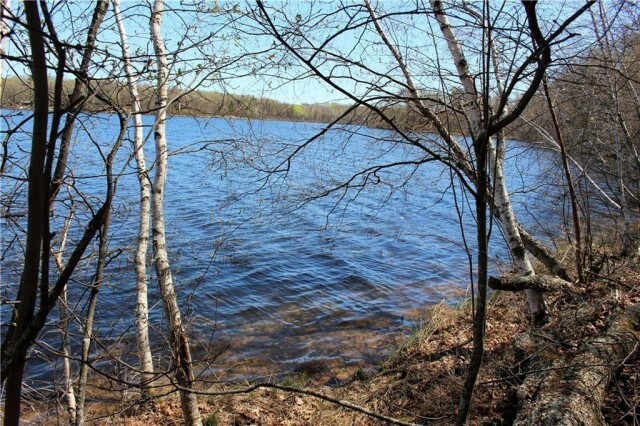 LOBSTER LAKE LOT-JUST OVER ONE ACRE-CLOSE COMMUTE TO ALEXANDRIA. BE ON A GREAT FISHING LAKE, BUY NOW-FISH NOW! BUILD LATER! NICELY WOODED, WILL ACCOMMODATE A WALK OUT. . . . 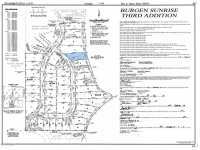 INVEST NOW FOR THAT FUTURE BUILD PROJECT IN THE UPSCALE BURGEN SUNRISE DEVELOPMENT ON LAKE BURGEN. 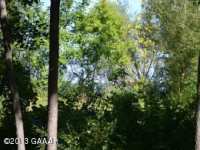 GORGEOUS MATURE TREES, WALKING PATHS, CITY SEWER AND WATER, CLOSE TO . . .
COME ON OUT TO THE BEAUTIFUL HOLMES CITY AREA! THIS LOT IS LOCATED ON THE EAST SIDE OF LAKE RACHEL FOR THOSE INCREDIBLE SUNSET VIEWS TO THE WEST. FLAT LEVEL PRIVATE . . . AFFORDABILITY DOESN'T ALWAYS MEAN YOU'RE STUCK AT THE BACK OF THE RESORT WITH NO VIEWS... ONE OF THE BEST SPOTS IN THE ENTIRE CO-OP GIVES YOU AN AWESOME LAKE VIEW! YOU . . . EXCELLENT LAKESHORE VALUE! 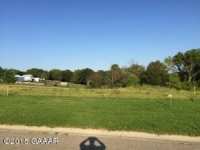 120' FRONTAGE LOT ON UNION LAKE NEAR ALEX FEATURES 2/3 ACRE LOT W/120' FRONTAGE, GARAGE, STORAGE SHED, AND BLACKTOP ROAD! INVESTIGATE TODAY! 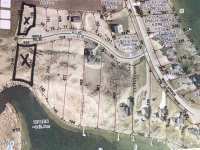 YOU ARE BUYING UNIT 26 STOCK (SITE) IN BIG HORN COVE ASSOCIATION. CAN BE USED FOR A PARK MODEL OR MOBILE HOME. OPEN FOR USE MAY 1ST THRU SEPTEMBER 30TH. 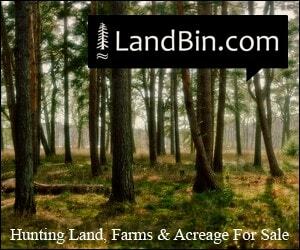 THIS INCLUDES A . . .
YOU ARE BUYING UNIT 36 STOCK (SITE) IN BIG HORN COVE ASSOCIATION. THE SITE IS FOR A MOBILE HOME. THE ASSOCIATION IS OPEN FOR USE MAY 1ST THRU SEPTEMBER 30TH. THIS . . .
OVERLOOKING LAKE IDA FROM THE BEAUTIFUL NORTH BAY. 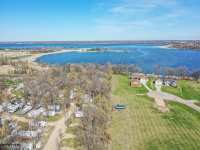 PRIME 1.11 ACRE BUILDING OR CAMPING SPOT WITH LAKE ACCESS INCLUDES DOCK SYSTEM AND BOAT LIFT AND LEVEL BEACH AREA . . . .
ARE YOU A 'QUIET LAKE'' LOVER? 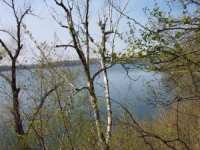 LOOK NO FURTHER THAN THIS LARGE, WOODED LOT ON NELSON LAKE! 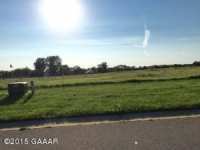 JUST A FEW MINUTES FROM TOWN AND OH SO CLOSE TO I94, YOU'RE GOING TO LOVE THE . 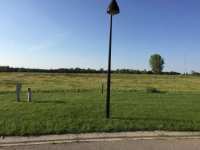 . .
BEAUTIFUL BUILDING LOT WITH SANITARY SEWER. GOOD ELEVATION TO LAKE IDA - ASSOCIATION ACCESS. 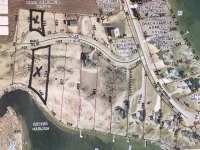 LOT INCLUDES A SLIP IN THE MARINA AND CONNECTION TO UNDERGROUND IRRIGATION . . .
EASY SUMMER LIVING! COME ENJOY LAKE IDA WITH OVER 4000 ACRES OF RECREATION AND EXCEPTIONAL FISHING. 500 FEET OF LEVEL LAKESHORE WITH SAND BEACH WITHIN THE WONDERFUL BIG . . . 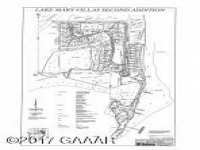 GRAB YOUR BUILDING PLANS OR HAVE US CUSTOM BUILD A HOUSE FOR YOU ON PRESTIGIOUS LAKE MARY. 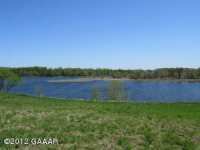 THESE LOTS OFFER A FANTASTIC LAKE VIEW AND ASSOCIATION ACCESS. ENJOY THE . . . 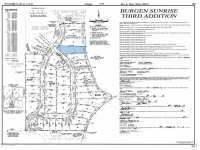 GRAB YOUR BUILDING PLANS OR HAVE US CUSTOM BUILD A HOUSE FOR YOU ON PRESTIGIOUS LAKE MARY. 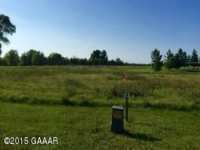 THEE LOTS OFFER A FANTASTIC LAKE VIEW AND ASSOCIATION ACCESS. ENJOY THE SCENIC . 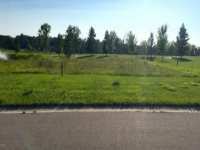 . .
BARGAIN PRICED LOT IN NEW PLAT ON MAPLE LAKE BY ALEX! INVESTIGATE NEW PRICINGTODAY! !NOTE: LOTS 13 - 22 SHARE DOCKS WITH ADJOINING LOT. LAKE JESSIE MEADOWS TOWN HOME ASSOCIATION. BREATHTAKING VIEWS OF WELL-MANICURED COMMON AREAS INCLUDING THE WALKING PATHS, MINI GARDENS, SCENIC OVERLOOKS, AND LARGE PONDS . . . GRAB YOUR BUSINESS PLANS OR HAVE US CUSTOM BUILD A HOUSE FOR YOU ON PRESTIGIOUS LAKE MARY. 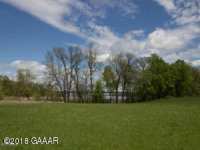 THESE LOTS OFFER A FANTASTIC LAKE VIEW AND ASSOCIATION ACCESS. ENJOY THE . . . GRAB YOUR BUILDING PLANS OR HAVE US CUSTOM BUILD A HOUSE FOR YOU ON PRESTIGIOUS LAKE MARY! 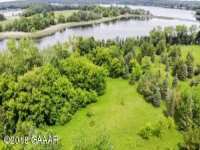 THESE LOTS OFFER A FANTASTIC LAKE VIEW AND ASSOCIATION ACCESS. ENJOY THE . 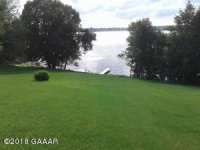 . .
115' OF LAKE SHORE ON ALEXANDRIA'S PREMIER LAKE IDA! 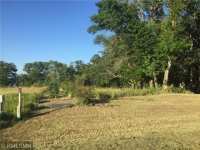 THIS LAKE LOT HAS ALASD SEWER (ASSESSMENT PAID), CURB AND GUTTERED STREETS, UNDER GROUND IRRIGATION TO LOT, . . .
115' OF LAKE SHORE ON ALEXANDRIAS PREMIER LAKE IDA! 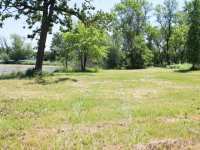 THIS LAKE LOT HAS ALASD SEWER (ASSESSMENTS PAID), CURB &AMP; GUTTERED STREETS, UNDER GROUND IRRIGATION TO LOT, . . .
LAKE JESSIE MEADOWS TOWN HOME ASSOCIATION. LOTS 9 THROUGH 25 ARE CENTRALLY LOCATED WITHIN THE DEVELOPMENT WITH BREATHTAKING REAR VIEWS OF WELL MANICURED COMMON AREAS . . .
LAKE JESSIE MEADOWS TOWN HOME ASSOCIATION. LOTS 27 THROUGH 35 & LOTS 44 THROUGH 49 LIE WITHIN MATURE PINES AND ROLLING MEADOWS & BREATHTAKING VIEWS OF WELL MANICURED . . .
LAKE JESSIE MEADOWS TOWN HOME ASSOCIATION. 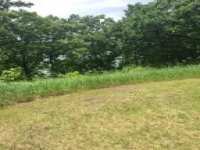 LOTS 38 THROUGH 43 LIE ALONG AN ELEVATED BLUFF OVERLOOKING THE ENTIRE DEVELOPMENT ALL THE WAY DOWN TO THE LAKE. BREATHTAKING . . . 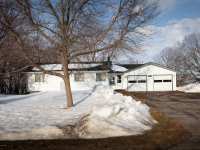 PRICED WELL BELOW TAXABLE MARKET VALUE! 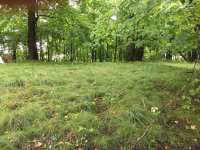 THIS BEAUTIFUL LEVEL LOT ON LAKE IDA IS LOCATED ON QUIET CUL-DE-SAC. 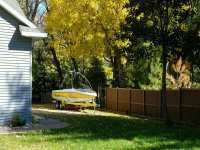 ASSOCIATION OFFERS COMMON GAZEBO & DOCK SYSTEM. TAR ROAD, . . .
A BLANK CANVAS FOR YOUR DREAM HOME DESIGN. 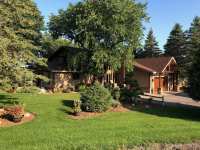 RESORT STYLE LIVING ON A CHAMPIONSHIP GOLF COURSE WITH ACCESS TO A HEATED POOL, PLAYGROUND, FISHING DOCKS, BEAUTIFUL COMMON . . .
BIG OPPORTUNITY! SMALL PRICE! 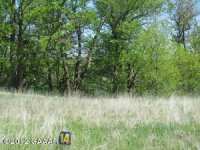 MAPLE LAKE ACCESS LOT W/PLENTY OF ROOM TO SPREAD YOUR WINDS OR HUNT WATERFOWL. 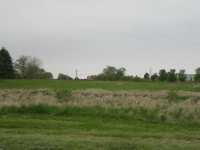 3.10 ACRE (TAXED) PROPERTY W/HUNDREDS OF FEET OF ROAD AND . . . 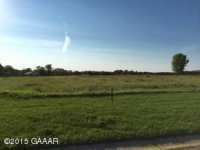 VERY NICE IDA VIEW BUILDING LOT. 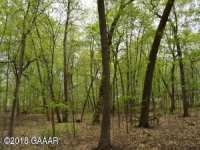 NICELY WOODED LOT THAT IS 1.20 ACRES. PRICED TO SELL QUICKLY! OFFICE SPACE FOR LEASE IN THE 700 CEDAR BUILDING. SINGLE OFFICE, 135 SQUARE FEET, $175 PER MONTH. 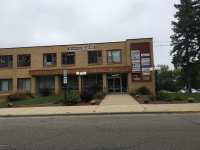 LARGE 264 FOOT OFFICE, PLUS STORAGE CLOSET, $275 PER MONTH. NICE TWO . 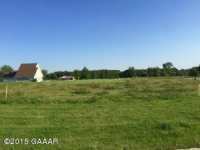 . .
232 Listings in Alexandria MN ..
An hour northwest of St. 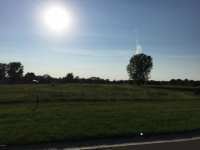 Cloud, Minnesota lies the quaint bedroom community of Alexandria; a welcoming locale with outdoor recreational opportunities galore. The country seat of Douglas County, Minnesota, Alexandria is home to a little over 11,000 residents. Located in the North Woods, the region surrounding Alexandria was once home to a variety of Native American peoples. As European settlers moved into the region in the late 18th and early 19th century, fur trading and logging became economic staples of the region. Today, tourism is the economic stronghold of this community due to its multitude of area lakes and resorts. For festivals, the area around Alexandria cannot be beat. Ancient lore suggests that the Vikings once visited the area as early as the 14th century, a much-disputed and controversial claim. Here, the Kensington Runestone resides in the Alexandria museum, the artifact locals point to in order to substantiate the claims that Vikings once visited here. Outside the museum, a 25 foot tall statute of a Viking named 'Big Ole.' Originally built for the World's Fair of 1964 in New York, the statute today towers above spectators in Alexandria, serving as an adopted mascot for the city. Every year, the annual Vikingland Band Festival where marching bands compete against one another is held in Alexandria. Other area festivals and events include the Art in the Park festival every year in July, the annual Douglas County Fair held in August, Carlos Creek Winery's Grape Stomp in September and the city's Apple Fest in October. Alexandria is remote, yet easily accessible from major metropolitan areas such as St. Cloud and Minneapolis-St.Paul. For those who prefer to fly, there is a public airport at Alexandria named Chandler Field. 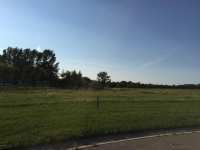 Drivers can connect with the region by travelling on Minnesota State Highways 27 and 29, both of which run through Alexandria. Interstate 94 passes to the south of the city, which connects this region to the Twin Cities of Minneapolis-St. Paul. With countless area lakes, Alexandria is an ideal destination for anglers and fishing aficionados. Walleye, perch, northern pikes, crappies and bass are to name but a few of the species found in the lakes and streams of this region. 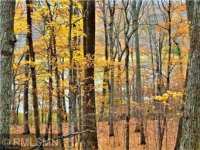 Hike through the towering pine forests; fish along serene lakes such as Darling Lake, Lake Mina, Lakota Lake, Geneva Lake, Victoria Lake, Andrew Lake, Lake Mary and Lake le Homme Dieu; or just relax on one of the area golf courses. Winter brings its own pastimes including ice fishing, snow mobiling, cross country skiing, snow shoeing and, of course, a competitive game or two of hockey. If you don't play yourself, never fear, Alexandria boasts its very own Junior A ice hockey team from the North American Hockey League's central division known as the Alexandria Blizzard. No matter how you choose to spend your time in Alexandria region, you are sure to feel reinvigorated by the fresh air and crystal clear Minnesota lakes. Alexandria is located on the legendary Central Lakes Trail. 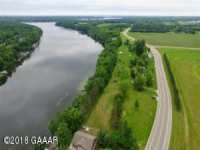 The path is fifty-five miles long and connects the city of Alexandria with Dalton, Ashby, Melby, Evansville, Nelson, Brandon, Fergus Falls, Osakis and Garfield. The path is open to all non-motorized forms of transportation including bicycles, in-line skates, walkers and runners. In certain designated times in the winter, snow-mobiles are permitted on the path. Originally an old railroad line converted to a paved path, the Central Lakes Trail winds its way through some of the most beautiful countryside you will likely ever encounter. With crisp, clear air and countless opportunities for outdoor recreation, you and your family will almost certainly find yourself longing to return to the Alexandria region year after year. 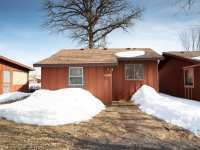 Why not take the plunge and invest in your very own lake property here in the Minnesota North Woods? 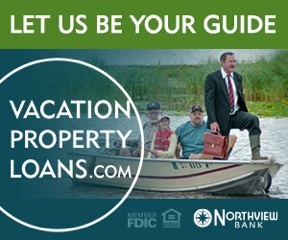 Regardless of your budget and needs, you are sure to find just what you are looking for here on the lakes of the Alexandria region. Luxurious lakefront properties dot the shoreline, many of which feature an array of amenities including things such as gourmet kitchens, private swimming pools, hot tubs and even private docks. For those seeking less ostentatious digs, rustic cabins are the perfect spot to stay in the Minnesota North Woods. 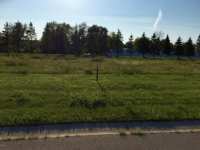 Lakeshore lots where folks can construct their very own visionary dream home here on the lakes of the Alexandria region are always a highly sought commodity. For those looking to invest, but not relocate, various services will help you find folks to rent to during times you are not using the property in order to maximize the usage and generate a little income along the way. If you find the perfect property for you and your family, be sure to act quickly. Otherwise, you risk losing out on the opportunity of a lifetime if another buyer snatches it up before you!